Note: Every effort has been made to make this article as factual as possible, however, the information contained is not equal to what an legal professional can offer. If you have any questions, please consult with a Portuguese lawyer – ideally one that specialises in Portuguese citizenship law. I cannot answer those questions, but hopefully one of the lawyers mentioned below can. Portuguese citizenship comes with a number of benefits, not least the ability to travel and work within the EU. According to the The Henley & Partners Visa Restrictions Index of 2016, the Portuguese passport also offers visa-free or visa-on-arrival travel to 172 countries. This ranks the Portuguese Passport at 6th worldwide (alongside Canada, Ireland, Luxembourg, Norway, Switzerland and South Korea). Since Brexit, as millions of British nationals try to hold onto their European ties, there has been an sharp increase in the number of people interested in obtaining Portuguese citizenship. Prior to that, most British people hadn’t really considered applying for another citizenship and most of the interest in becoming Portuguese came from people from Brazil and other former Portuguese colonies. This means there is now increased interest in obtaining Portuguese citizenship, and you may find that this affects the length of time the process takes. Is Portuguese citizenship right for you? Portuguese citizenship is not the easiest EU citizenship to obtain, it has to be said. If you just want citizenship of any EU country, there may be better countries to look at. The easiest path to an EU passport to have an Irish or Italian grandparent. Failing that, some countries like Malta and Greece offer Golden Visas for a relatively small investment of between €250,000 and €300,000. Portugal has a similar scheme (see below), but the investment amount is higher. If you’re not lucky enough to be of Irish or Italian descent, or to have €300,000 in the bank, the next easiest options are to spend three years living in Poland or to marry a Spanish person (for one year). Ideally the marriage will work out, and you’ll want to stay with them for longer than that, but that’s the minimum requirement for citizenship. Portuguese citizenship, as mentioned, isn’t the easiest EU citizenship to obtain. However, if you plan to live in Portugal long-term, it could worth pursuing one of these options. The most common way to obtain citizenship in any country is to live there for long enough. In Portugal, that length of time is 6 years. You can apply for permanent residence after 5 years and, although it’s not quite the same as citizenship, that’s actually good enough for most people. 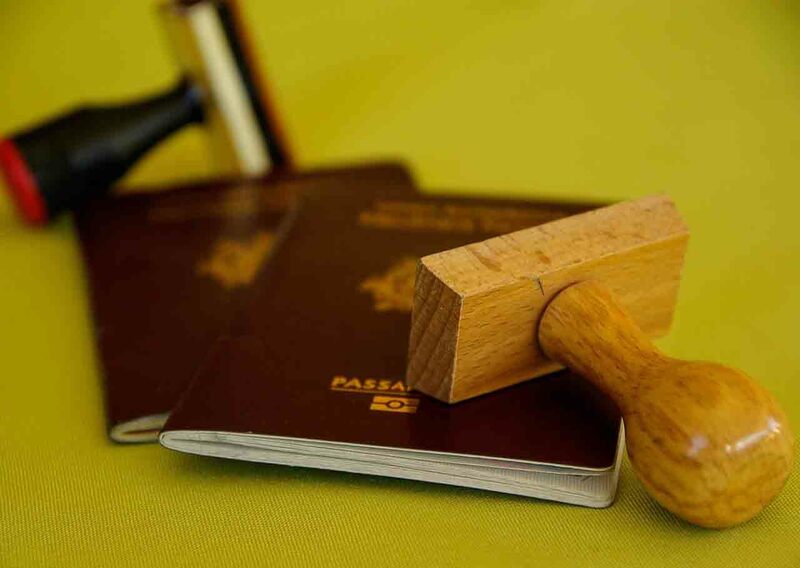 When applying for citizenship, there are a number of requirements that you have to meet. You must be over 18, you must not have been convicted of a serious crime (one that’s punishable of up to three years imprisonment under Portuguese law), and you must be posses an A2 level of Portuguese. If you’re not an EU citizenship, the biggest challenge will be staying in Portugal for 5-6 years. Portugal issues long-term visas for a number of different groups of people including students, volunteers, those with a job offer in Portugal, and those who have sufficient funds to support themselves (~€50,000) or/as well as a passive income (including a pension). You will need to look at the different visas available, and see which one you could apply for. Portugal is one of several European countries that offers a fully-valid residency permit to those who invest in Portugal. Investment can take many forms (such as creating a business that provides local jobs, investing in research, or investing in culture) but it can be as simple as purchasing a property in Portugal. Properties should be valued at €500,000 or more, unless the property is more than 30 years old or in an area of urban renovation. If the property falls into the second category, it only needs to be valued at €350,000 or more. If you are willing to buy a property in a low-density population area, the required value of the property could be reduced by 20% to either €400,000 or €280,000. Not everyone has that kind of money to hand of course but, for those that do, it’s one of the easiest ways to get residency (and a doorway to citizenship) in Portugal. The Golden Visa scheme allows investors to stay in Portugal (and to travel within the Schengen Area) for 5 years. After 5 years, investors can obtain permanent Portuguese residency. After 6 years, investors can apply for Portuguese citizenship. Foreigners married to a Portuguese national for three years or longer can apply for Portuguese citizenship. You don’t have to be living in Portugal for those three years, which is typically a requirement for citizenship with most other EU countries. Does that mean it’s time to get on Match.com? Not quite. If you’ve seen any of the many romantic comedies that follow this idea (Green Card and The Proposal), you’ll know that marrying for citizenship isn’t treated lightly within the government offices that process these applications. But, if you did happen to meet the love or your life, and they did happen to be Portuguese, you’d kill two birds with one stone. There are a few ways that you may be eligible to apply for Portuguese citizenship by origin. If you have a Portuguese parent, you may be eligible for Portuguese citizenship. If you were born outside of Portugal, and have a Portuguese grandparent, you may also be able to acquire Portuguese citizenship. If you were born in Portugal to parents who weren’t Portuguese at the time, you may be eligible for Portuguese citizenship if they had been legally residing in Portugal for the five years prior to your birth. If your ancestors were Sephardic Jews who lived in Portugal in the 15th and 16th century (and were kicked out by King Manuel) then you may be eligible to apply for Portuguese citizenship. This is a very unique situation and, unless you’re very familiar with your ancestry, it’s unlikely that 1) you have Sephardic Jews in your family tree and 2) that you’ll be able to trace that far back. More information can be found at sephardicjewsportugal.com. If Portuguese parents adopt you, you can claim Portuguese citizenship. Unfortunately, you have to be under 18 for this one: there isn’t a provision in Portuguese law for Portuguese parents adopting anyone older than 18. Portugal has special relationships with former Portuguese territories including Angola, Cape Verde, Portuguese India, Guinea Bissau, East Timor, Macao, Mozambique, São Tomé, and Príncipe. Part of this special relationship includes an agreement whereby members of the former colonies could apply for Portuguese citizenship. In most cases, there is (or was) a time limit during which citizens of these countries could apply to retain their Portuguese citizenship, so it may not be any option for you anymore. The following are a handful of lawyers that specialise in citizenship and immigration, golden visas, and naturalisation issues. Unfortunately, I haven’t used any of them so I can’t recommend them. Have you applied for Portuguese citizenship or permanent residence in Portugal? What was the process like? Let us, and other interested readers, know about your experience by leaving a comment below. Interesting and informative article. Thank you. As mentioned, I am not a legal expert so I can’t give any advice. You will need to get in touch with a specialist. I’m also from Bangladesh. I come to Germany in this 1st October 2018 for my Master’s study. I want to stay in EU and want to do a business. Want to import from Bangladesh. Would you please let me know what should I do now?? apply visit visa en come here.then find a job en pay tax for year.and apply in sef for appointment. Hello, my Brother Nipu. Hope you are doing well. If you are interested yet to come here to Portugal, can count on me. I am working for a company which accepts the request for immigration (in a legal way). Do you know if there is a Portuguese language requirement for the long term visa with the Golden Visa program. Thank you. I’m not 100% sure, but I believe that if you want to move onto residency or citizenship after 5/6 years, you will need to pass a basic language test. Prior to that, I don’t think it’s required. A2 level, second level of basic. After completing level A2, you can understand sentences and frequently used expressions related to areas of most immediate relevance (e.g. very basic personal and family information, shopping, local geography, employment).​​ Communicate in simple and routine tasks requiring a simple and direct exchange of information on familiar and routine matters.​​ Describe in simple terms aspects of your background, immediate environment and matters in areas of immediate need. Best of luck with your plans to move to Portugal. It’s a great place to live. My temporary residence already 3 years gone ,now running 4 years so now possible to apply Portugues passport ?? Or how do I get a quick passport? You’ll need to speak to a legal professional. As mentioned in the blog post, I’m not a legal professional so can’t advise. What are the bases that you got a temporary residence permit, I am now trying to get it through a retirement visa program. Any Advice to guide me? Both my maternal grandparents were born in Portugal. I was born in the United States. Can anyone tell me what I would need to do to become a Portugese citizen? I have been Married to my Portuguese wife for 10 years i cant speak the language, would i need to during interview process ? Good morning i was born in SA but both my parents were from portugal. can i get portuguese citizenship? As mentioned in the post, I can’t advise on this. You’ll need to contact a legal specialist. Hi James can you tell me if you know of any legal specialist in South Africa that can help with Portuguese citizenship? I’m afraid I don’t have anyone that I can personally recommend. I want to know that my father have a portuguese citizenship but I dont’t have I only have residence card and I am of 18 years can I apply for a Portuguese citizenship. Hi. What about students. As he is living on the temporary residence card. So can he apply after 5 years. As he do not pay any sort of tax etc?? Kindly please clear that. Can a student get a Portuguese citizenship after living 5 years in portugal on student status. Please please reply me as soon as possible. My mom is of Chinese Descent . Her parents are Chinese Descents as well.n. My mom was born in Macau in 1932. She immigrated to Hong Kong in 1946. Can she claim Portugal Nationality now based on her birthplace? Sorry Jan, you’ll have to ask a legal specialist for specific questions. I’m definitely not qualified to answer. Hi I live in the united kingdom and I got married to a Portuguese national in 2012, we lived together 5years and we got divorce in 2017, we didn’t register the marriage with the Portuguese consulate and now we are back together living as partners. Can I apply for a Portuguese nationality base on the fact that we have been married for five years before the divorce in 2017. I am married to a Portuguese as well, believe me if you didn’t register you marriage it will be difficult. We got married in Africa and this is our second marriage from both side, The Portuguese government asks me to register my previous divorce in China, but my government said they don’t do that unless I was divorced in China. We are married for over ten years and we lived in Portugal for 5 years, we still can’t register our marriage! As mentioned in the article, I am not a legal professional and am not qualified to give any kind of legal advice. I would recommend contacting a Portuguese immigration lawyer. My wife was born and raised in the UK(like me), but her father is Portuguese and although he’s lived in the UK for 40 years has retained his Portuguese citizenship. Any ideas if and how my wife can apply for Portuguese citizenship? please will you help me with some advise, both my parents are Portuguese and so were their parents, I was born in South Africa, can my family qualify for a Portuguese passports?if so who can I contact. I live in Albania and I have done my post graduate course in Portugal, I know basic Portuguese to communicate daily . Should this fact help me to work in Portugal? My father is Portuguese but I don’t know him. Can I still get a Portuguese passport? Hi. What about students. As he is living on the temporary residence card. So can he apply after 5 years. As he do not pay any sort of tax etc?? Kindly please clear that. Can a student get a Portuguese citizenship after living 5 years in portugal on student status. Is an indian can work at portugal ?. Is there any legal support from your Portugal ministry ?. Hi,I’m Mrs favour.I live in Portugal and i HV my residential document,pls how many yrs will it take me to become a citizen of Portugal,I love Portugal so much,pls what can I do to become a full citizen of Portugal. Regarding the Spanish marriage idea. Can we get married here ? I would imagine if you’re illegal here that’s going to make it difficult for you to legally marry here. Also, it sounds complicated as your girlfriend is a British citizen rather than a Portuguese citizen? Do I need saving account with 50000 € in the bank to apply for the citizenship? What if my great-grandparents were from Portugal? One side from Lisbon and other side from the Azores, would that qualify me to apply for citizenship? It made my grandma 1st generation born here in the states. Not a lawyer, so best to speak to one, but I think the cut-off is grandparents. I am from Ethiopia, my great grand parents were Portuguese missionaries that came to Ethiopia in 18s. my great grandparents and also my grandparents all have passed away. I plan one day to visit Portugal and trace my family heritage where ever it goes. I have no idea If I am eligible to apply for citizenship because Ethiopia was never a colony of Portugal and my great grandparents are not alive as well. Not a lawyer so best to speak to one for any legal advice, but I believe the cut-off is grandparents rather than great grandparents. Sounds like a very interesting story that you have, though. Even though you mightn’t be eligible for citizenship, I think it would still be very interesting to look into your family tree. My mother was born in Portugal to a Portuguese father and a half Portuguese/English mother. My mother’s passport lapsed some years ago bug I wondered if it was at all possible for me to get a Portuguese passport? 1) I am from India, planning to have longer stay, PR, in Portugal. Basically I am Civil Engineer, working in Saudi Arabia. As you wrote, investment amount ranging from 280,000 to 550,000 Euro, would this possible to invest the amount by group of people like 3 or 4. Whats its criteria. My mom was born in the Azores but I was born and currently live in USA. Is there a way to require dual citizenship through this route? Having a Portuguese parent seems to be one route to Portuguese citizenship. I would contact a legal specialist for more information. I can assure you that it is. Dear I want to know that can I apply for a Temporary Resident Permit as I have a regular rental income of $2000 per month. And we are total 4 person in family. Hey . I will get marry this year . My fiancé was born in Zimbabwe . But she have Portuguese passport too bc of her grandfather . She never visit Eu in her life but she travel dubai and aisa country with her Portuguese passport . After marriage can I get passport or visa too ? Please help me . I am British, born in Mozambique. I now want to apply for a Portuguese passport before Brexit. What are the eligibility criteria.? if you were born in Mozambique before 1974 and have your birth certificate. no issue, just go to Portuguese embassy. I’m similar to the last comment – my father is from Mozambique and then moved to Portugal and then to the UK where I was born. My grandfather stayed, died and is buried in Lisbon and my uncles are there. Anyone got any ideas as to how to trace birth certificates from the 50s as my father does not know where his would be – I need this to apply either via my father of course, or even via my grandfather as it proves my link to my grandfather. Serafina, your fathers birth certificate and grandfathers would be registered in Portugal in Lisbon, you just have to request it from the civil registry. I’d like to study in portugal Unifersities and living there for rest of my life . I graduated from English institute with 70.53% in 2016 . I worked in syria as English teacher for two years. Not something I can help with, I’m afraid, as I’m just a blogger. Good luck with your university applications! Dear, My son have 3year poland TR and he live for 1Year and paid one year poland tax.Now he want to come in portgual. Wel he given any benefit of polish income tax in portgual? I honestly have no idea. As mentioned, I’m just a (travel) blogger, and you would need to contact a specialist in this field with specific questions. Hello bro.I’m also from bd now I’m in italy. I have all documents in italy include 1 year living permit ( renewable).I want to come Portugal and get Portuguese living permit.let me know the Processing time & way.